Imagine a celebration where you eat a year’s worth of pancakes in a single day, burn straw figures, and beat each other with heavy sacks? Welcome to Russian Maslenista! This traditional Slavic holiday celebrates the end of winter, and the beginning of the Lenten Season. 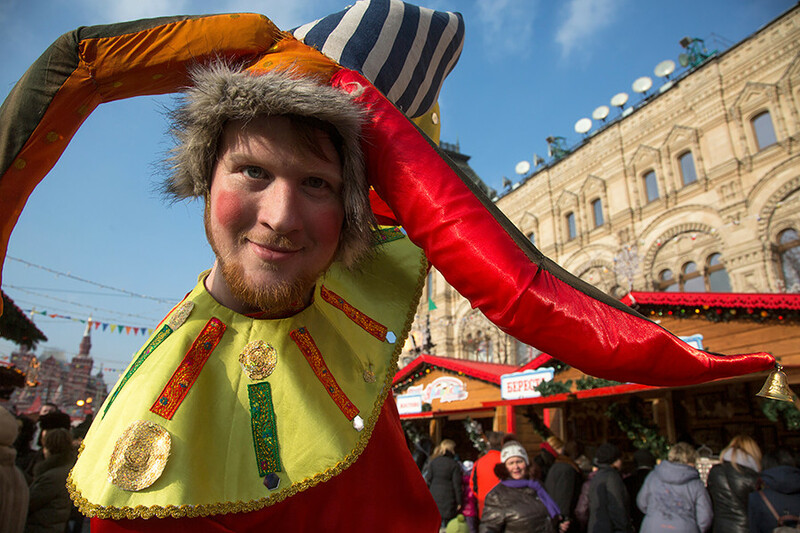 Take a look at our guide to find out where to go, and what to expect from this ancient folk carnival in Moscow and St. Petersburg. In Kolomenskoye Park there are plans to build a palisade, the traditional Russian defense structure, and visitors will have the chance to shoot a bow and arrow inside this wooden, nine-meter-tall stockade for 10 days. 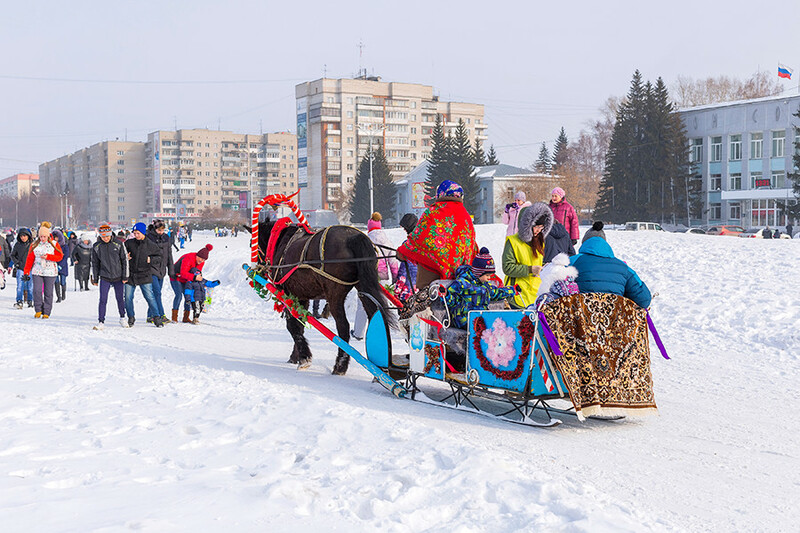 Also, Kolomenskoye will host a run for sleigh rides, and organizers promise the real thing. While they probably won’t be the type of sleighs seen in Surkov’s painting, Boyaryna Morozova, expect something similar. One alternative to sleighs is the kruzhala, a wooden prototype of the carousel, something like a large swing or a mini-Ferris wheel. A large-scale reconstruction of the era of Emperor Alexander I will be held at Revolution Square. During his reign, after Russia’s victory in the Patriotic War of 1812 against Napoleon, the Maslenitsa celebration acquired its present-day appearance. The program will offer participants a chance to play croquet (yes, the kind that Alice from Alice in Wonderland played with hedgehogs and a flamingo), and graces— a game where you throw a wooden hoop in the air and catch it with a special stick. By the way, there’ll also be a 19th century etiquette school on the square. This is a chance to show off your perfect curtsy! Tsarskaya Maslenitsa, a play where the audience joins the fun, will be held at Manezhnaya Square, which will become a massive open-air stage. Organizers promise it will be remarkable. The brains behind this event, producer and director Vitalii Borovik, is the founder of the Liquid Theater, and in 2009 he received a Golden Mask, the most prestigious national theater award. This is a unique chance to do “something Russian” with your own hands. At Tverskaya Square instructors will teach how to paint wooden dishes (for example, khokhloma), hold lessons for goldwork embroidery (like this), and potters will show how to make izratsi (a ceramic or clay tile for covering ovens and building facades). On Tverskoy Boulevard they’ll teach people how to make dolls from yarn, bake bread larks (a symbol of spring), and carve birds from wood. At Novy Arbat there’ll be master classes, headed by graduates of the British School of Design, to create carnival masks and accessories. In addition to Russian ones, there will be traditional bear and horse masks from the Czech Republic, and carnival accessories from Germany and Venice. Russian fist-fighting is a traditional pastime that has survived for centuries because nothing is more fun for Russian men than an honest, manly brawl. But don’t worry, people indulge in this raucous activity only during the Maslenitsa festival, and it’s carried out with strict rules to keep things from getting out of hand. 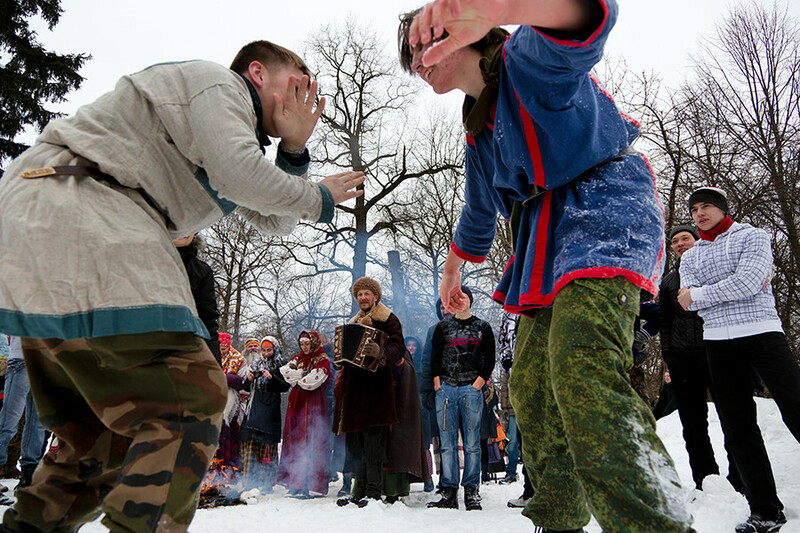 A log for sack fights will be placed on Tverskoi Boulevard, and other strength competitions include battles with mock swords and a tug-of-war. Be careful, because it’s more difficult than it seems. 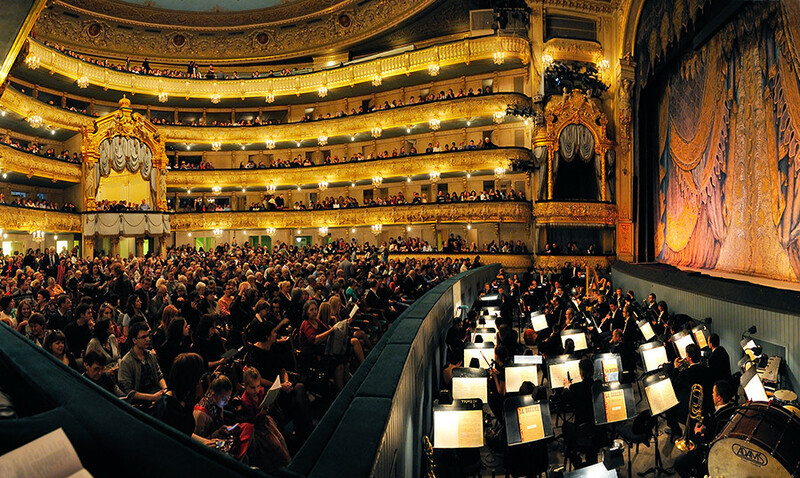 Maslenitsa is another reason to visit the Mariinsky Theater. Each year, the theater becomes the stage for the international choir festival, Maslenitsa in Song (playbill here), which this year begins on Feb. 12. Opened by the Prague Philharmonic Choir, on Feb. 15 they will show the four-hour play, The Snowmaiden, with simultaneous subtitles in Russian and English. Ice slides are a classic of Russian winter entertainment, where everyone is equal— rulers and commonfolk, urbanites and villagers, children and adults. During the entire week of Maslenitsa people can slide down the ice mountain on Zayachy Island by the Peter and Paul Fortress. By the way, waterproof pants would not be a bad idea... Afterwards, check out the festival of pancakes and enjoy them with hot tea. Don’t miss this day because it’s when the most interesting things happen. 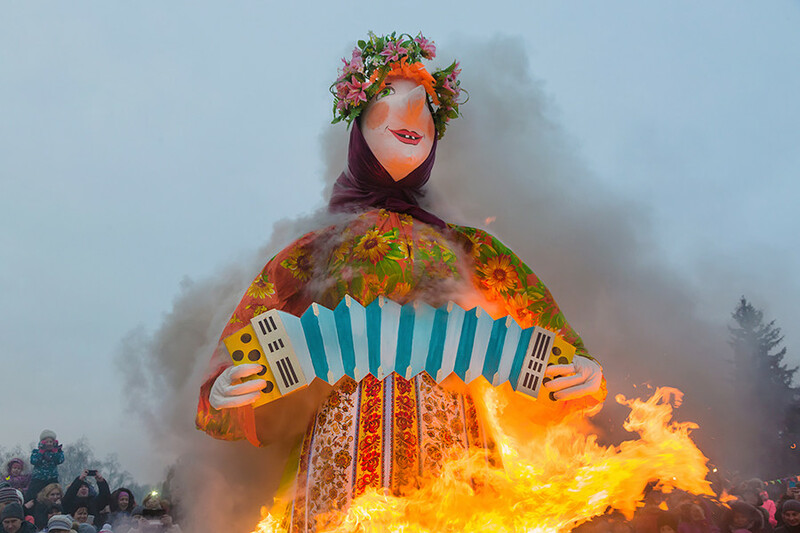 The last day of Maslenitsa is the most fun, when a large straw scarecrow is burned as the symbol of winter, which soon will come to an end. Don’t miss this day because it’s when the most interesting things happen. The scarecrow is merely the culmination, and St. Petersburg’s most spectacular bonfires take place on Zayachy and Elagin islands. Finally, no matter where you decide to go, make sure you have an empty stomach! Seven days is certainly not enough for this wonderful and unforgettable festival. 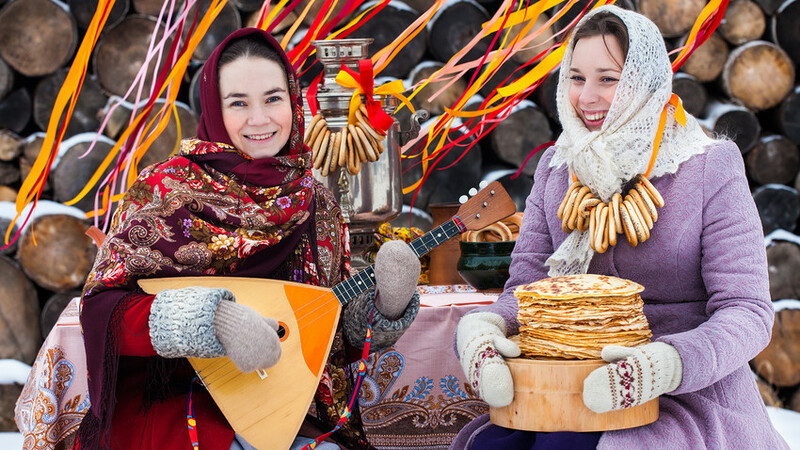 Take a look at the daily schedule for Maslenitsa, or try a recipe for pancakes with beer.